Zanzibar beach – the name says it all. Only 15 minutes by plane from Dar es salaam,mainland lies the wonderfully sleepy island of Zanzibar. The obvious beach tack-on to a safari in mainland Tanzania, Zanzibar beach is East Africa’s finest beach destination surrounded by coral reefs with numerous idyllic beaches lined by huge sweeping palm trees. Though most visitors spend a night or two in Zanzibar’s Stone Town, it is the beaches, snorkeling and diving that attract people to Zanzibar’s shores, and with an ever increasing tourist trade, it is remarkable. Zanzibar is much larger than one might expect; driving from top to bottom takes about two hours. 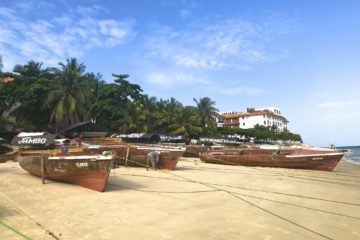 Stone Town and the airport are found on the Western edge, with a transfer from any beach lodge taking about an hour. 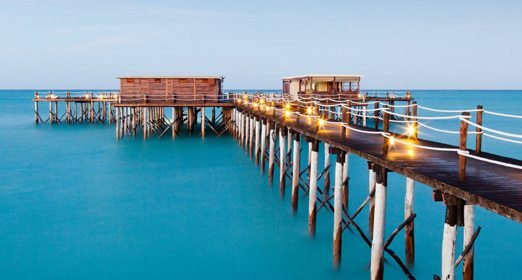 The island’s best beaches for a Zanzibar beach Holidays are found on Zanzibar’s Eastern and Northern coastline with miles and miles of seemingly endless beaches, and a wealth of accommodation choice. Western Zanzibar (where Stone Town is located) and Southern Zanzibar have small beaches. 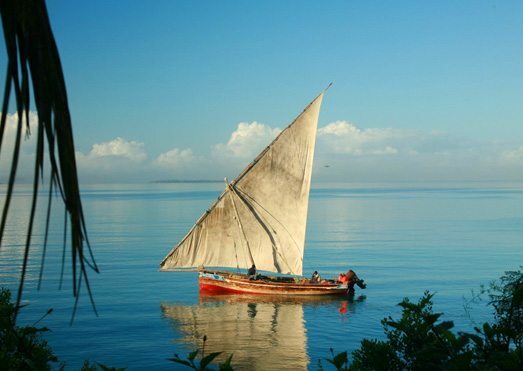 Zanzibar is the jewel in any Africa and Tanzania Holiday. 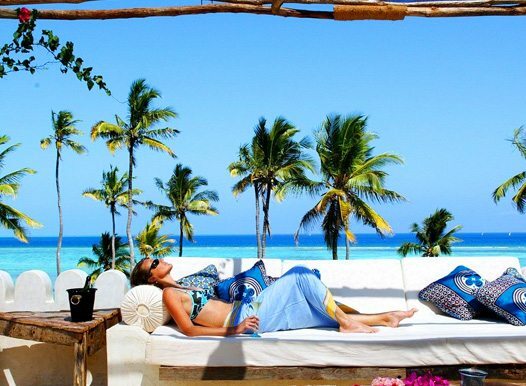 The most economical hotels for Zanzibar holidays are Shooting Star,The Palm, Mchanga and Echo Beach all are well established, good value small hotels that have good beaches and personal service. Shooting Star is the oldest of the bunch and with its location on the top of a cliff it has the best views on Zanzibar. The rooms are spacious and the food and service is very good for the price.Mchanga is a similar style lodge, located further north from Shooting Star. With only 10 rooms it’s much smaller and a cozier feel. The pick of the bunch however is Echo Beach. Located further South on Zanzibar’s southerly-east beach. Different level of hotels and prices found here normally cost between $245 p.p.p.n and $350 p.p.p.n . 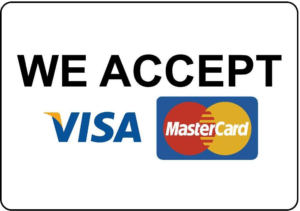 General standards are a step up from the lower end of the market and the hotels tend to have their own dive centers and the facilities of larger resorts such as tennis courts etc. Food and service levels are very high. To start with is a hotel Ras Nungwi on the Northern tip of the island.Nungwi has arguably the best beach on the island and all the facilities of a large resort but with 28 rooms. Ras Nungwi has stood the test of time to consistently deliver great service. It is a small hotel that delivers great reports. It is superb value and with the best dive center on the island it excels in its price bracket. Matemwe Bungalows is an old favorite, but also one that seems to split opinion amongst travelers – you are either a Matemwe Bungalows person, or you are not! Breezes sister hotels Baraza and The Palms are much more expensive, but they are amongst the finest hotels on the island and make a superb location for a Zanzibar Holiday or Zanzibar Honeymoon Baraza has about 36 rooms and with private plunge pools, offers some of the best accommodation on the island. It is among our favorites hotel for families wanting the best the island can offer.The Palms is next door and with only six rooms offers a more intimate experience that fits very well with couples wanting to keep to themselves. The newly opened La Residence is a new top end resort with exceptionally high, although fairly expensive, service levels. The quality of the beach here is our only issue but we cannot deny their effort; your every need is attended to here! A smaller hotel also at the top end of the market, Kilindi is an elaborately designed hotel that has amazing rooms and certainly offers the most privacy of any hotel, though the beach is not as good as it should be. Zanzibar is much larger than one might expect; driving from top to bottom takes about two hours. Stone Town and the airport are found on the Western edge, with a transfer from any beach lodge taking about an hour. 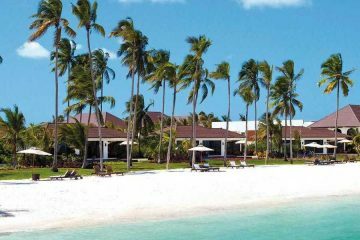 The island’s best beaches are found on Zanzibar’s Eastern and Northern coastline with miles and miles of seemingly endless beaches, and a wealth of accommodation choice. Western Zanzibar (where Stone Town is located) and Southern Zanzibar have poor beaches. 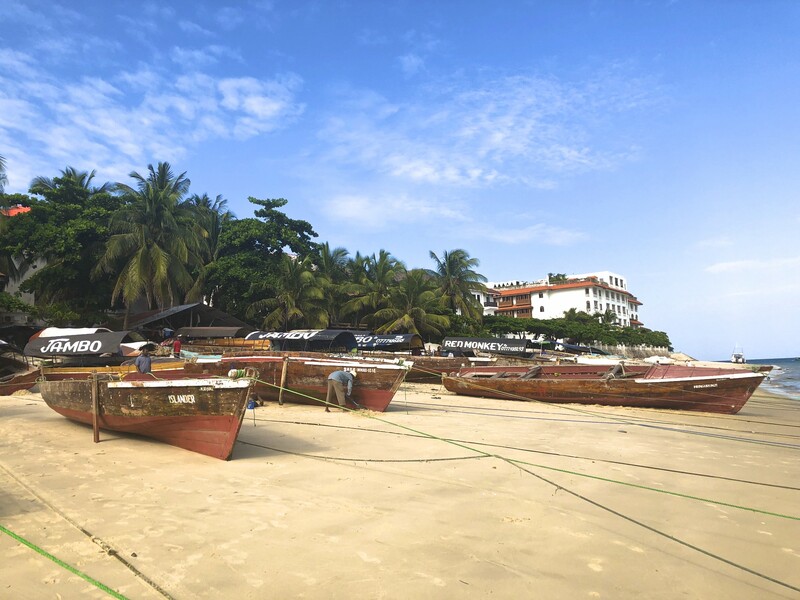 The Northern coast is called Nungwi, appropriately named after Nungwi village. This is arguably Zanzibar’s best stretch of beach and if you choose the lodge correctly, one of the quieter areas. South west of Nungwi is Kendwa, known for its pristine beach but also for being a backpacker’s haven and very busy. 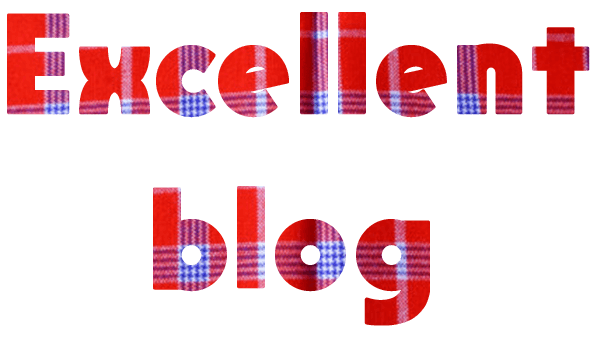 If you are on a real budget, then this is the place. It also boasts a few parties, beach stalls and a buzzing local atmosphere. The north-eastern coast is called Matemwe. The beaches here are not very good to visit, but this does deter people and therefore you actually get a relatively remote stay with wonderful views of Mnemba Island.